"The commitment to space exploration must be based on the defense of the creative identity of the human mind. Human beings are a space-faring species, not meant to be confined to Earth: a species with a mission to discover and come to understand who we are as mankind in the Universe. We must bring about a unified human mission that establishes a completely new view of the Solar System, defined not by the compartmentalization of space, but by a unified galactic system. "Visionary leaders like space pioneer Krafft Ehricke and President John F. Kennedy understood that the industrial development of the Moon and beyond is not just a worthwhile undertaking, but an extra-terrestrial imperative. Today, China is leading the advance toward this extraterrestrial imperative with the steady progress of its lunar program. "For the last six years I have led a national campaign to defend our U.S. manned space program, which is fundamental to the progress of our nation’s economic development, and provides the basis for peaceful relations among all nations. Our manned space program, and the future of our nation, have been under brutal attack since 2010, with the egregious cuts and dismantling of our space program, starting with Obama’s cancellation of the Constellation program, and the cuts to a fusion science driver program, important for the development of fusion propulsion technology, which is absolutely essential for the exploration of space. We must restore our commitment to a unified national mission dedicated to the exploration of space, starting with the development of the moon (including its unique fusion resource, helium-3). "This will lay the basis for a much greater expansion of mankind throughout the Solar System, with Mars as the next target for human exploration and development. America needs a robust space exploration and development program to draw our nation’s attention away from petty problems on Earth and to refocus it once more on the excitement of exploration of the Universe, the thrill of discovery, and the conquest of new frontiers. This passion for adventure and yearning to stretch our horizon will surely drive the next generation of space explorers and inspire our nation for the next 100 years in space." The space program isn’t simply about space, it’s about mankind—it’s a mankind program, as much as a space program. We must look to qualitative leaps in the extent and power of man's presence beyond Earth, into the Solar System: the development of the Moon as a basis for the eventual development of Mars and other regions of the Solar System; the accelerated exploration of the entire Solar System with advanced robotic instrumentation; and the new investigations of the Galactic System and beyond. However, we must recognize such progress as merely the physical effects—shadows—of something unique about mankind. A few hundred years ago it was impossible for mankind to even conceive of a realistic plan to leave the Earth, but now this is a reality. What changed? Obviously we now have rockets and computers, advanced technology and industry, etc., but all of that is ultimately a product of a capability unique to the human mind—the capacity for scientific discovery of universal physical principles. This goes to the heart of the issue: the fundamental distinction of mankind from animal life per se. There is an inseparable relation between fundamental scientific discovery and the potential this creates for mankind to uniquely change the economic characteristics of society, self-transforming the ecological characteristics of the human species in a way not seen in any other form of life. The science of this process is best understood from the standpoint of Lyndon LaRouche's science of physical economics. When discussing mankind in the Solar System from this standpoint, we are compelled to look back to the process of scientific revolution bounded between the work of Kepler through Einstein. These are exemplary of the creative leap—the discoveries of principle—which have elevated mankind to a species which can act, in principle, on the level of the Solar System. Johannes Kepler initiated mankind’s understanding of the Solar System with his discovery of universal gravitation. 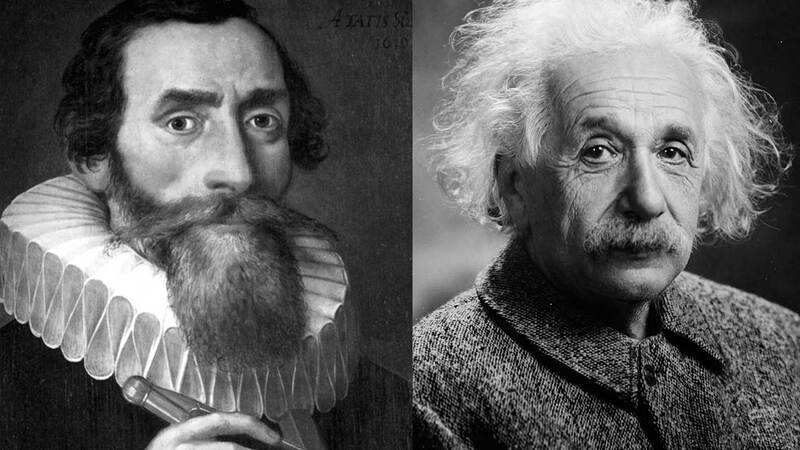 Albert Einstein brought this to a new level with his discovery of general relativity. We could then look to the visionary work of Konstantin Tsiolkovsky, Hermann Oberth, and Krafft Ehricke in working through and designing how that potential could be actualized. Today we must address these two interrelated categorical aspects of a true physical economic development of space. First, we must fulfill the existing physical potentialities and develop mankind's presence as an active organizing force beyond Earth, reaching to the Moon, and throughout the Solar System. Second, we must enable and facilitate the creative discovery of new universal physical principles, principles underlying the galactic system and beyond. To address the first categorical aspect we should start by defining certain boundary conditions of a new physical-economic platform for space–a Solar System platform—which will enable a new stage of mankind, a new definition of the meaning of mankind in the Universe. Travel in Space–Traversing the vast distances and the strong gravitational fields of the Solar System requires high levels of energy flux density.4Details can be usefully quantified in terms of delta-v requirements of travels, energy density of fuel supplies, and specific impulse of propulsion systems. Chemical propulsion for space travel is the equivalent of the oxen-pulled covered wagon for transcontinental travel. The automobile might be comparable to fission propulsion, and jet-powered flight comparable to fusion propulsion. If we want to be able to easily and rapidly traverse the Solar System, fusion propulsion is critical. Additionally, directed energy (laser) propelled spacecraft could be considered for appropriate circumstances as well. Space Resource Development–The utilization and development of the resources available in space lifts mankind beyond merely poking around in space, to the level of an active organizing force of the Solar System. The ability to develop the resources available on the Moon, asteroids, Mars, or any potential destination in the Solar System eliminates the need to bring everything from Earth, and begins the grand process of creating self-sustaining systems of activity—mini-noöspheres5The work of Vladimir Vernadsky—defining the principles of the biosphere and the noösphere—provides a useful complementary framework to LaRouche’s science of physical economics. See, “On the Noetic Principle: Vernadsky and Dirichlet's Principle,” Lyndon LaRouche, May 18, 2005, http://www.larouchepub.com/lar/2005/3222vernad_dirichlet.html—beyond Earth. The most successful space program today, for the future of mankind, is one that addresses these key boundary conditions. By these scientific standards, a program for the industrial development of He-3 fusion resources on the Moon is an excellent driver program to accelerate the development of mankind's Solar System platform. Regarding the third boundary condition, it is a driver for developing construction and even industrial capabilities, infrastructure, and experience beyond Earth using extra-terrestrial resources available on-site. The unique He-3 isotope will be the most valuable resource, but lunar sources of water, oxygen, hydrogen, metals, and other elements and minerals will also be developed—establishing mankind as an active, developing presence on another planetary body. Regarding the second boundary condition, this program integrates space development with fusion development. Controlled fusion reactions will have critical applications for power and propulsion in space, as well as power on Earth. With fusion propulsion, travel time to Mars can be cut from months to weeks. This will also be an important opportunity for international collaboration, with leading scientists and thinkers in China, Russia, and other nations already calling for a lunar He-3 program as well. Regarding the first boundary condition, a vacuum-tube magnetic-levitation space launch system can be considered as well. Dramatically lowering the cost of access to space, this could be the final pillar of a true Solar System physical-economic platform. Because of the strategic implications of one nation having sole control over such a revolutionary advantage in space access, this should also be an international effort. An additional benefit would be the prospective spinoff of vacuum-tube magnetic-levitation technologies for the World Land-Bridge. With such systems on Earth, a trip from New York to Beijing could be as short as two hours. With this type of a physical economic platform, not only Mars, but much (if not all) of the Solar System can become accessible for manned and/or robotic exploration and development—creating the basis for new fundamental scientific discoveries of principle. All of this must be situated from the second categorical aspect of today’s space program. To start with a leading challenge, mankind has yet to discover the organizing principle(s) of our Galaxy, as Kepler had discovered such for the Solar System. Again, the Moon will be a critical component. Because the lunar farside is always shielded from natural and artificial radio noise being emitted from Earth (and shielded from solar radio noise for half the four-week long lunar “day”), it is possible to observe the universe in very long wavelength radio frequencies from the lunar farside—observations which are simply impossible from Earth, or even Earth orbit.6This also provides a useful motivation to shift deep space communications from relatively low data rate radio frequencies to significantly higher data rate laser optical systems—ensuring the optimal radio-quiet conditions are maintained on the lunar farside. This observation in very long wavelengths will provide a new, unexplored window into all kinds of processes, from the activity of our own system’s planets and star, to other stars and their planets, to our Galaxy, and to other galactic systems beyond. This will shed light on the known unknowns and the unknown unknowns; investigations into unexplored regions of the electromagnetic spectrum have almost always resulted in complete surprises. Coverage of the electromagnetic spectrum by various space and ground based telescopes. Note the very low end of the radio frequencies which currently have no coverage, but which we will finally have access to from the far side of the Moon. And with development comes discovery. [As the development of the interstate railway and highway systems led to geological discoveries about the history of the Earth,] the development of the Moon can tell us about the history of our entire Solar System, its experiences in the Galaxy, and the history of the Galaxy itself. For example, recent further analysis of lunar samples brought back by the Apollo missions has shown that the Moon (and hence our entire Solar System) was exposed to a relatively nearby supernova explosion just a few million years ago.7Synopsis: Supernova Footprint on the Moon,” April 13, 2016 http://physics.aps.org/synopsis-for/10.1103/PhysRevLett.116.151104 It is remarkable how much has been learned from a relative handful of samples from only a few locations on the Moon. 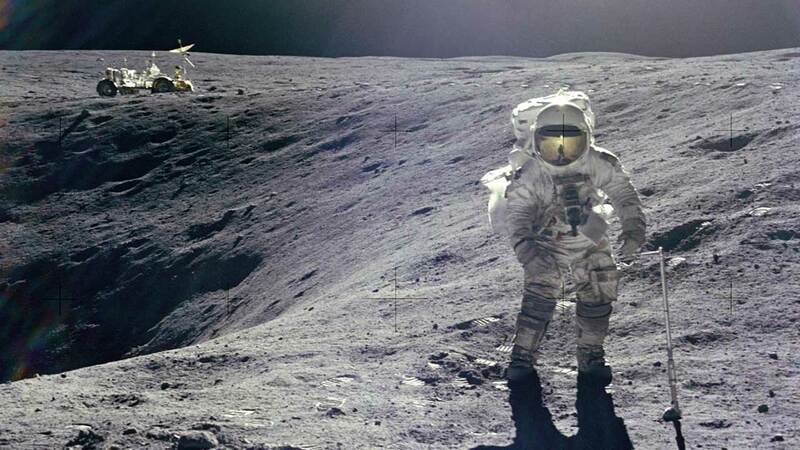 Using improving instrumentation to further exploration the many other diverse areas of the Moon—deep craters, lava tubes, recent volcanic formations, old formations, etc.—can ensure the Moon tells its tales of history gone past. These new scientific investigations can provide critical clues to understanding the undiscovered principles governing the organization of our Galaxy, other galactic systems, and processes beyond. There is much to discover—the dynamics of galactic systems, their creation, evolution, and development; the anomalous, super-energetic processes of active galaxies; the organization of ultra-large-scale structures of many galaxies; etc. Such a pursuit is the initiation of a new revolution, the potential emergence of mankind as, in principle, a galactic species—just as Kepler and his followers brought mankind into the level of the Solar System. The authors, Kesha Rogers, two-time Democratic nominee for TX-22, Leader of LaRouche PAC Policy Committee & former candidate for U.S. Senate can be contacted at [email protected], and Ben Deniston, Leader of LaRouche PAC Scientific Research Team, at [email protected] PDF Version. A timeline "Save NASA, Impeach Obama"